I have been putting my Coravinto good use since I collected a few mixed cases of ready-for-drinking bottles from my own portfolio. 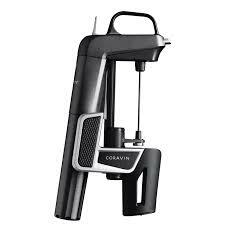 Coravin is a genius invention that allow one, via a fine needle, to extract a glass of wine from a bottle without opening it. The wine is replace by a squirt of Argon gas and, thereafter, the bottle may be returned to one's cellar for further ageing. Many of the bottles I have been/will be sampling have appeared on Bowes Wine offers over the years. And I am sure that some of you will have these wines in your collections, thus I have started a series of video tasting notes:a collection that will expand over time. With many more in the pipeline.